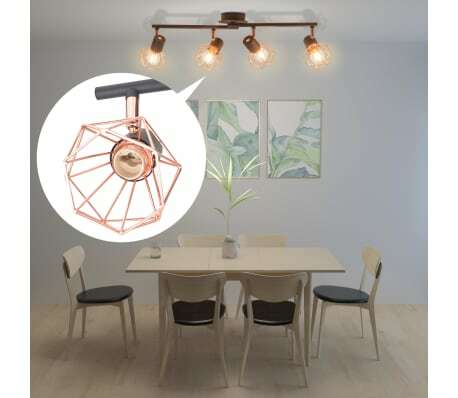 This ceiling lamp with 4 spotlights has an industrial design and will enhance the look of any room. 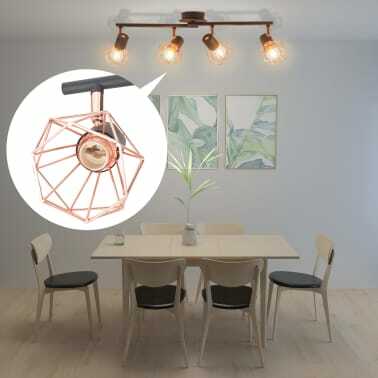 The lamp can be easily mounted on the wall or ceiling thanks to its high-quality black metal base. 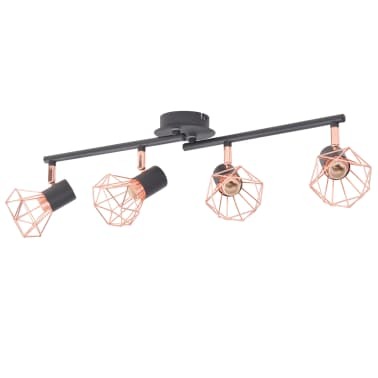 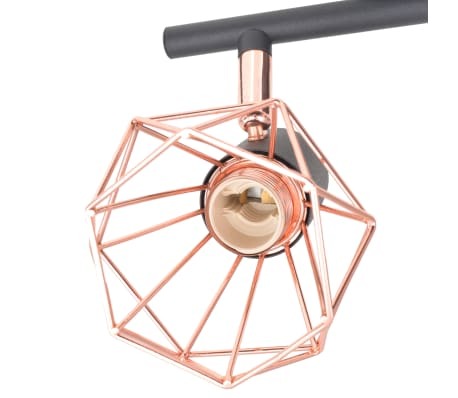 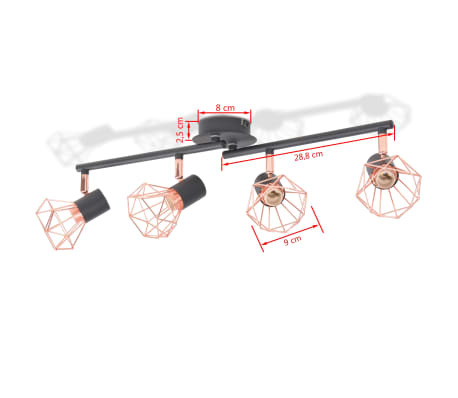 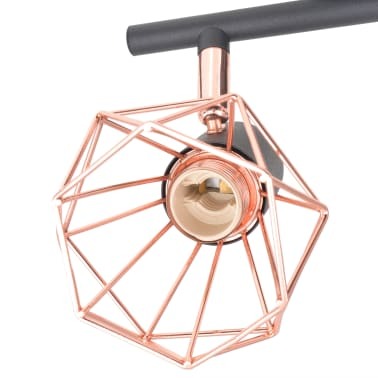 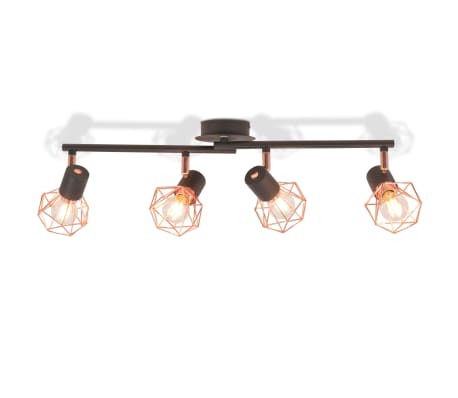 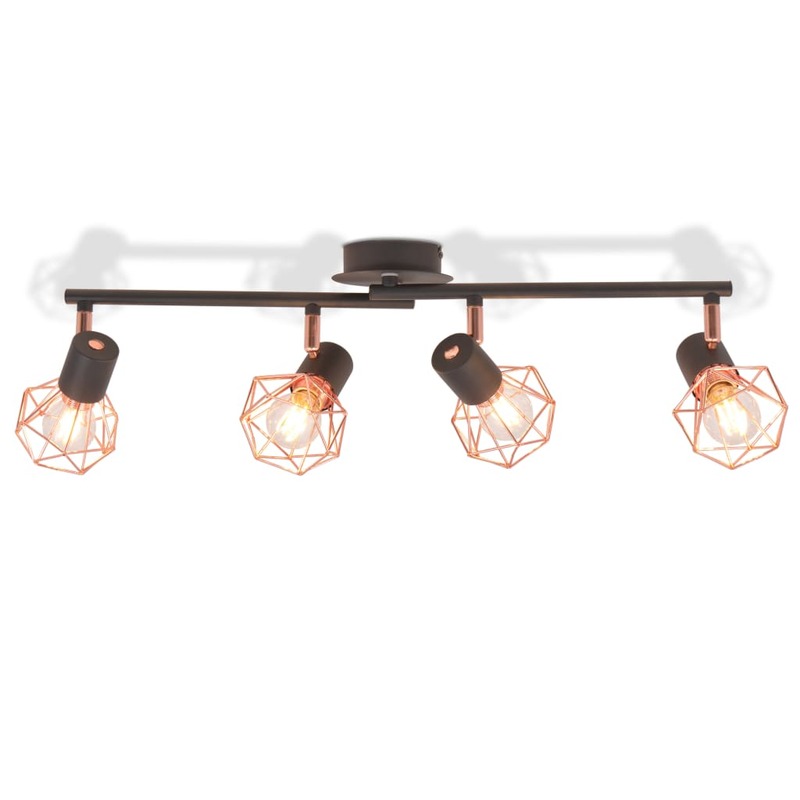 The unique copper-coloured iron wire shades of the spotlights add to its industrial style and make for a pleasant effect as the light is emitted through them to illuminate every corner of the room. The lamp is suitable for E14 bulbs, but please note the bulbs are not included in delivery.